Doodling at Denny's and the sketch started looking like a really awesome dalmatian. 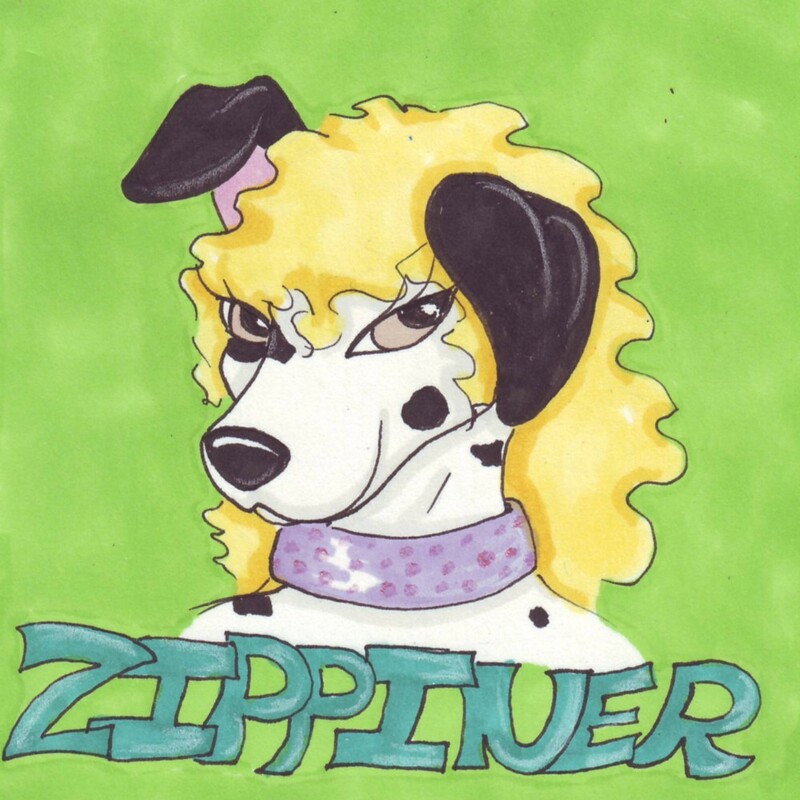 So I ran with it, turned into Zippiner, and now here's a badass looking Zippiner badge...which I find funny, because she's so happy and cheery. Oh yes, and there's pigment sparklies on the collar. Badges like this....$7 for the time being.